Here's some great footage of a recent Brett Garsed guitar clinic at Guitar-X in the UK. 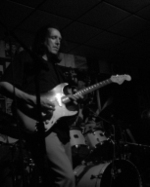 On May 18th, Brett will play at The Baked Potato in Los Angeles with Joel Taylor - drums, and Ric Fierabracci - bass. UPDATE: Brett will also be playing May 11th at Tone Merchants, with Joel and Ric. Credited throughout his career with creating super sounds in super groups, the ultimate Clapton collaboration will take place July 28, 2007 when he gathers the past, present and future of guitar music onto one stage for an incredible full day musical event. Announced today, the second Crossroads Guitar Festival, scheduled for July 28, 2007 at Toyota Park in Chicago, will be a cornerstone of this year's summer music festival season. Profits from the Festival will benefit The Crossroads Centre in Antigua, a treatment and education facility founded by Clapton for chemically dependent persons. Since its inception, Clapton's vision for the Crossroads Guitar Festival has been to create an event where his friends and contemporaries can have fun and jam together for the benefit of a good cause. This year's Festival will feature a full day of musical performances with once-in-a-lifetime guitar collaborations. Known as pioneers in their field, the roster of artists spans old and new, from BB King to John Mayer (anticipated guest list below). The audience can expect unrivaled entertainment, brilliant guitar work, surprise guests and impromptu jams that are the hallmarks of these performers. The first Crossroads Guitar Festival, in June 2004 at the Cotton Bowl in Dallas, was an unprecedented collection of guitar icons from blues, rock and contemporary music. 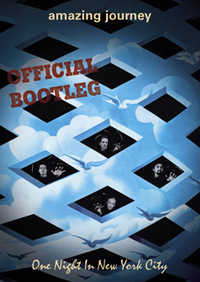 The sold-out show was chronicled in a 2-disc DVD that has since gone on to become one of the world's top-selling music DVD's, recently achieving the 8x platinum mark in the United States alone. Additional Festival artists and elements to be announced shortly. 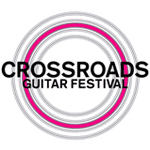 Tickets for the Crossroads Guitar Festival will go on sale to the public on Saturday, March 31 at 10am Central Time (11am EST) via www.ticketmaster.com or Ticketmaster phone charge at 312-559-1950 or Ticketmaster retail outlets. Both reserved and general admission tickets will be available for this event. All tickets will be priced at $90 plus applicable ticketing/service charges. The ticket price includes parking for the day and the concert begins at NOON. Conveniently located just 15 minutes southwest of Downtown Chicago (at 71st and Harlem in Bridgeview), Toyota Park (www.toyotapark.com) is Chicagoland's newest and most exciting outdoor concert facility. 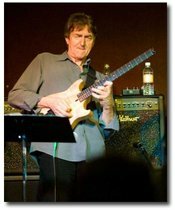 Found some great pics from last nights Allan Holdsworth concert at Ramshead Tavern in Annapolis, Maryland on the PhotoCamel Photography Forum. Check them out. Guitar Jam Daily has a new audio interview with Michael Landau for their Jamcast interview series. A CD and DVD of Mike Portnoy's all-star tribute to The Who, Amazing Journey, is finally available for purchase. This incredible band featured Paul Gilbert - guitar, Billy Sheehan - bass, Gary Cherone - vocals, and Portnoy - drums. AMAZING JOURNEY - ONE NIGHT IN NEW YORK CITY captures the bands May 31st 2006 show at BB King's in New York. You can purchase the DVD or CD version of this release through Mike Portnoy's website. I got the inside scoop on guitarist Alex Machacek's new project. Alex will be recording an album with drummer Jeff Sipe (ARU, Jonas Hellborg, Project Z) and bassist Matt Garrison (John McLaughlin, Gary Husband, Dennis Chambers) in a few weeks. Look for the release sometime in August. This should be an incredible collaboration; all three of these guys are monster players. Here's a clip of Frank Gambale with Joel Taylor and Ric Fierabacci from March 9, 2007 at The Baked Potato. Great stuff. Found this on Truth in Shredding - Guitar Player has a short interview posted with Paul Gilbert.